My process is one of sensuous indulgence, from the conception of a form to its eventual use in the home. Each step is sacrament, each stage along the way leaving its mark. I revel in the spiral rites of wedging and centering, and wonder at the fluidity of forms all that spinning imparts. My fingers leave their prints where I’ve touched, lifted the forms from the wheel. The forms each have breath, and speak of the practice of tactile reverie. My work speaks clearly of function. These objects of utility have generous spouts, soft volumes, and handles that invite the pourer’s hand. Honeypot knobs await the pinch of fingers, teabowl rims anticipate the meeting of lips. In this intimate realm, honesty is vital. The clay must tell of its grit and grog, the slips and glazes of their fluidity. The kiln must leave its mark, as well. The journey is difficult, from here to cone 12 and back in an anagama. We labor for days, fully engaged in the sound and color of the flame, the grain and weight of the wood, and the mystery of what is happening inside the kiln. We wait patiently for the chambers to cool. 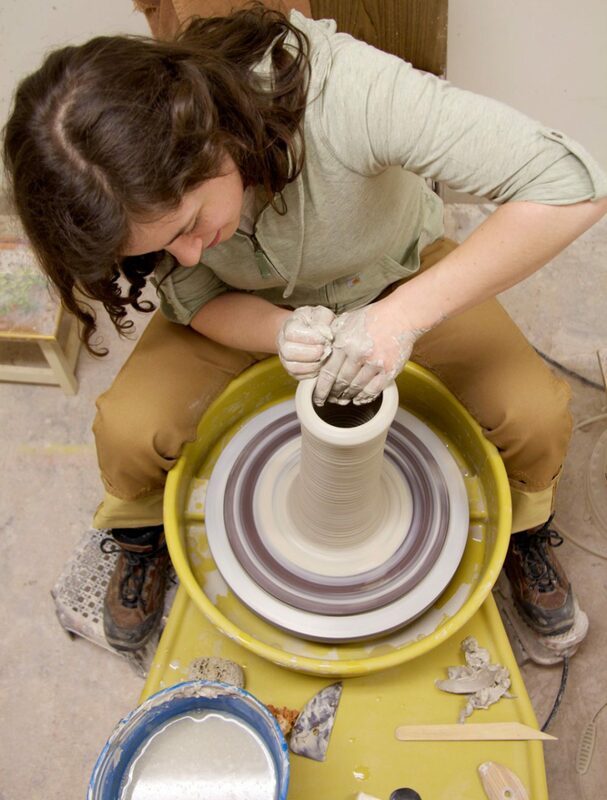 In exchange, the kiln bestows upon our work so many gifts. The flowing flame, the battering ash, and the burning ember are each memorialized on the surface of these pots. And yet, even when unloaded from the kiln, the pot is only half-done. I hope each one will wear the evidence of the passage of time as a badge of honor, as sign of frequent use and indulgent enjoyment. I believe that a genuinely spirited pot can provide sustenance, as well as hold it. I aim to make vessels from which people feed their communities, and in doing so, are connected to the community from whence the vessel came. And when I am successful, the pots tell the stories of their making.